Dec 17Fair Housing Partners Receives Its First Mercy Loan Fund for Affordable Senior Housing in Ogallala, Neb. Ogallala, NE—Mercy Loan Fund (MLF), a leading Community Development Financial Institution (CDFI) based in Denver, Colo., announced that it has provided Fair Housing Partners (FHP) a loan of $540,000 to acquire Ogallala Village Apartments in Ogallala, Neb. 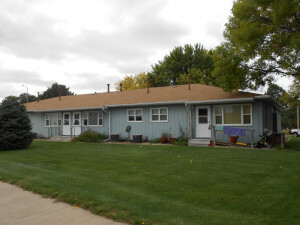 Ogallala Village Apartments is a project-based Section 8 property that serves predominantly senior residents, all of whom have an income 50 percent of the area median income (AMI) or less. The building’s Section 8 Housing Assistance Payment Program was recently renewed, ensuring that the property will remain affordable through 2034. MLF has also lent an additional $50,000 to be used for property improvements. This loan is the first from MLF to FHP, signifying what both organizations hope to be the beginning of a long and fruitful partnership. For three decades, Mercy Loan Fund has focused exclusively on funding affordable housing and essential community infrastructure projects that support affordable housing. By collaborating with socially-responsible developers, Mercy Loan Fund has helped finance the development of single and multifamily homes for rental and homeownership. These developments help a variety of people including low-income families, the working poor, seniors, farm works, people who have experienced homelessness, and people with special needs. Mercy Loan Fund is a subsidiary of the affordable housing nonprofit, Mercy Housing. For more information, please visit www.mercyhousing.org/mercyloanfund. Fair Housing Partners purchases assets that bring a high level of social impact to communities. The company’s mission is to maintain and improve housing units that low-income families can afford, often in challenging markets.